Selection of an engagement ring for the love of your life seems a simple task apparently. But actually it is not. 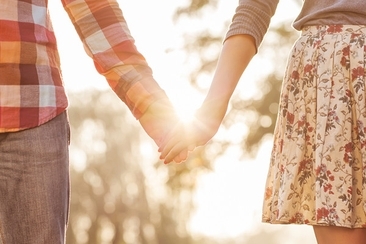 An engagement ring works as a representative of your love and life long commitment. A man always thinks of gifting a diamond ring to his beloved, at the other end, woman gets fascinated with the thoughts and dreams about that engagement ring. What if your budget does not allow you to buy an expensive diamond ring? No worries! 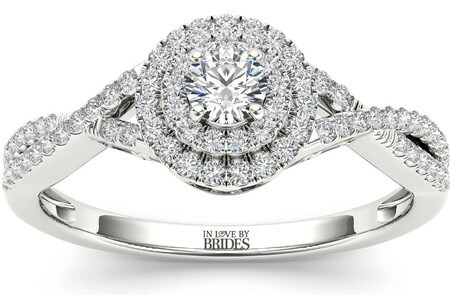 Here are some of the most romantically stunning and affordable engagement rings that will surely fit in your budget. Pink gold hue is a unique combination. 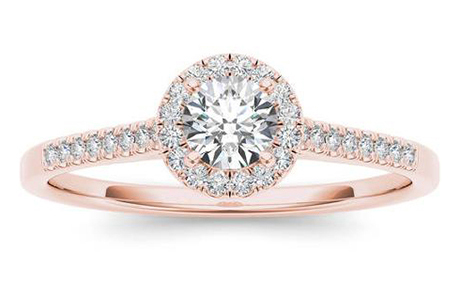 This engagement ring is a classy 14k pink gold in the elegant combination of 38 carat certified halo diamond. The splendidly carved diamonds on the shank would make her fall in love with it in the first sight. 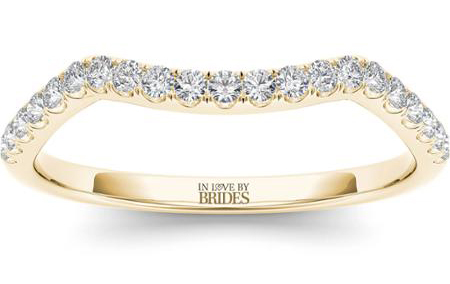 It’s a sleek and slim diamond band-like curved ring. A line of diamonds on the whole shank area is what makes it different. The ring has 1/5 Carat T.W. Diamond. The ring is made in 14k yellow gold. 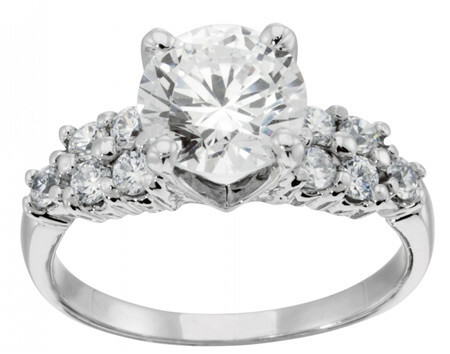 This engagement ring will surely express your love and passion for her. What can be better than a diamond ring edged by the precious gemstone sapphires. 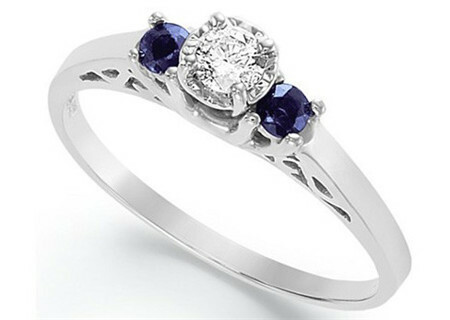 The ring is made of sterling silver with 1/3 carat T.W diamond and 1/6 carat sapphires on both sides. Gift her a ring as elegant as she is. 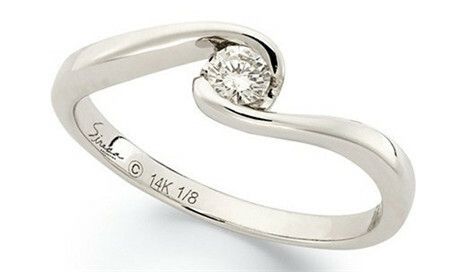 Designed in a stunning bypass design, diamond engagement ring by Sirena has a artistically cut 1/8 carat t.w diamond. Made in 14k white gold this masterpiece will surely beautify her delicate hands. 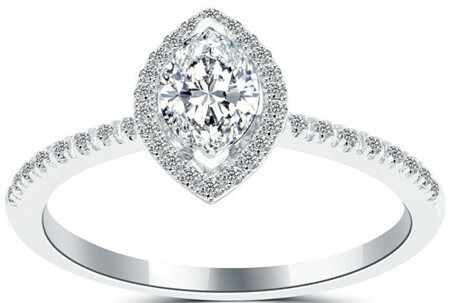 This is undoubtedly the diamond ring she would be proud to wear. 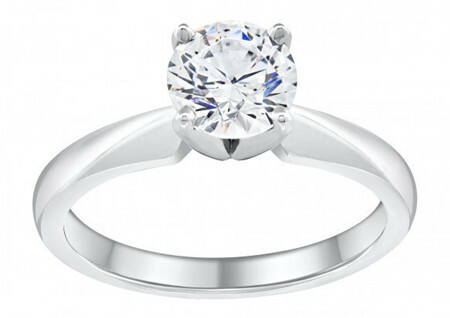 Casted in 14k white gold, the ring has a glamorously cut center diamond. 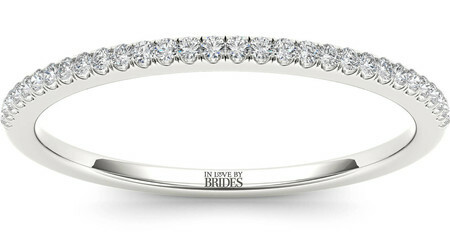 The shank of the ring is paved with tiny diamonds that beautify the engagement ring more. 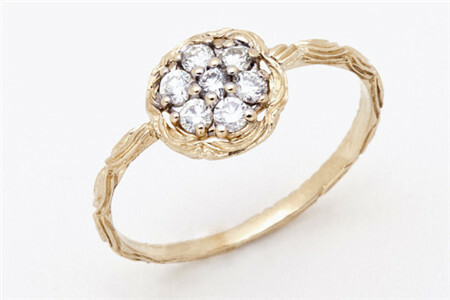 It’s a beautiful floral designed diamond ring quite contrary to the typical ones. The uniqueness of the ring lies in the wavy pattern on the shank. The center diamonds are available in both black and white shades. This 14k carat ring is available in hues like gold, white, rose and platinum. It’s a jaw dropping and delicate 3/8 carat diamond ring. The engagement ring is made in 14k white gold. Twisted shank of the ring adds glamour to it. 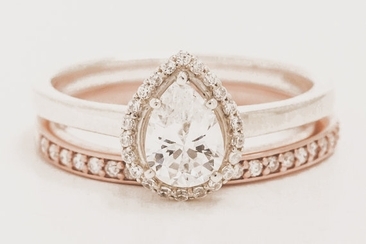 This is no doubt one of the prettiest and most affordable engagement rings. Choosing a colored stone ring for engagement would be a unique idea. 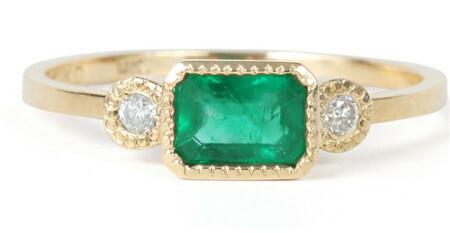 Lexie emerald ring is elegantly paved with a bright green emerald stone. Emerald is flanked by two 3 points diamonds. Lexie ring is made in 14k yellow gold. It would certainly bring joy to her. A sleek and slim designed ring with 1/10 carat T.W lined up diamonds. 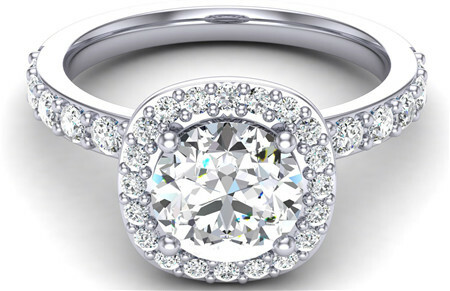 This elegant diamonds circle is perfectly suitable for engagement purpose. The ring is made in 14k white gold with perfect finishing. It’s a 14k white gold uniquely designed diamond studded ring. 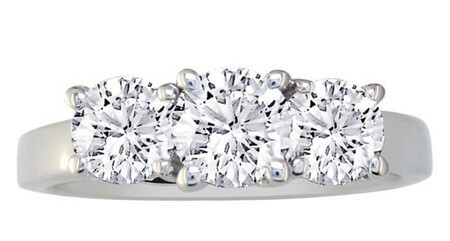 The ring has a double band shank paved with diamonds which make it exceptionally different and desirable for any girl. A beautiful frame of small diamonds around the 1/5 round center diamond enhance its beauty. Pearl can also be a choice for an engagement ring. This is a vintage inspired 14k gold ring. The elegant pearl is flanked by three tiny diamonds on both sides. The band of the ring is also engraved with floral patterns. The ring is quite cost effective. If you are looking for uniquely designed yet affordable engagement rings, this marquise cut pave halo diamond ring is the right choice. The difference is obvious. She will adore this ring made in 18k white gold and 1.11 carat marquise cut diamond. If the woman you love is a combination of class and simplicity, this ring is the perfect choice. 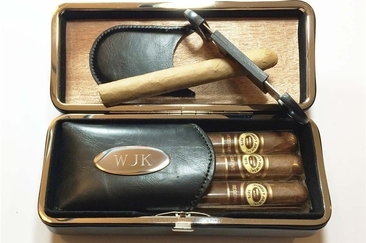 The ring is designed so elegantly well that she will be all praise for it. The ring has a solitaire round diamond. It’s a 14k white gold ring. Looking for different yet affordable engagement rings? Let’s move away from the stereotype white diamond rings. 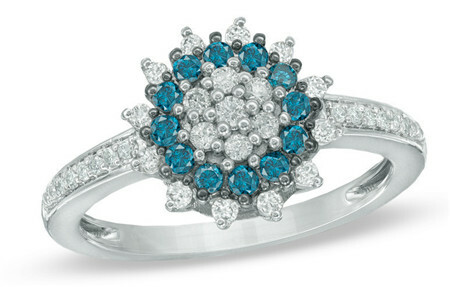 This 10k ring has white as well as blue diamond’s floral cluster on it. Shank also bears white diamonds. The floral design of the ring is so skillfully crafted; she is gonna be crazy about it. This 14 carat white gold ring is beautifully crafted with three elegant diamonds. 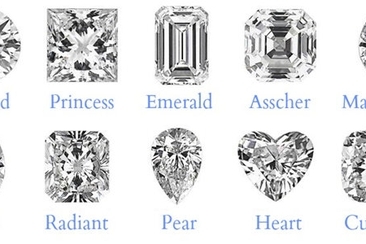 The craftily cut diamonds are always sparkling irrespective of any angle. 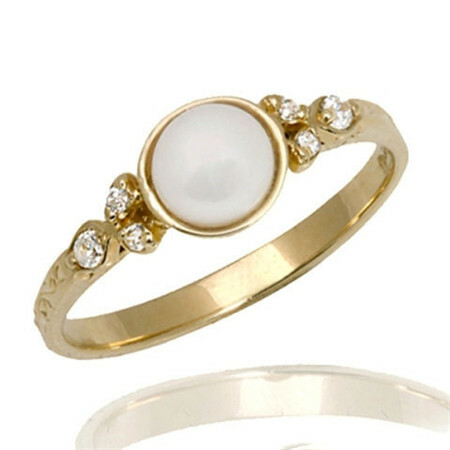 Every girl would love to have this elegant ring on her finger. The ring is not that expensive. Gift your heart to her with this romantically designed diamond ring. 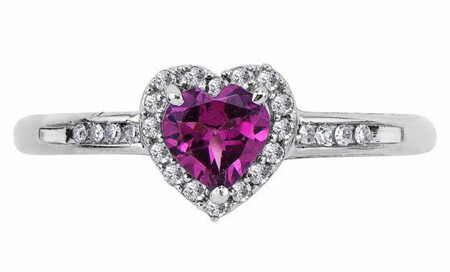 The sterling silver ring has the beautiful rhodolite garnet gemstone. The stone is skillfully framed by 24 round small diamonds. The shank of the ring also bears the diamond. The ring is an amazing combination of innovation and elegance. The halo style makes it uniquely different. It’s a 14k white gold ring with a centerpiece diamond of 2.04. 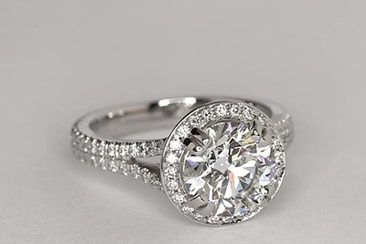 The ring has 57 round cut diamond accents. 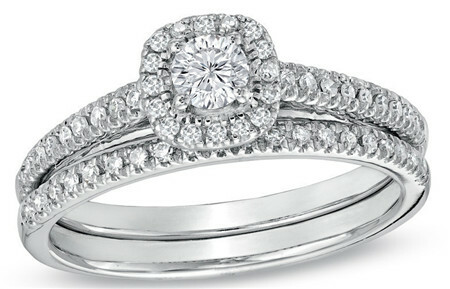 So if you are looking for affordable engagement rings, buy it for your loved one! 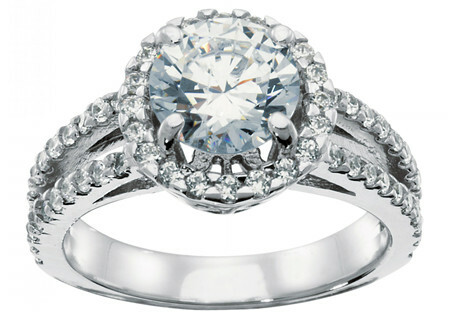 With a shimmering center stone, Santorini engagement 14k white gold ring is a real treat to eyes. This might prove to be the best choice to show your love to her. This intricately crafted halo ring has many Nexus diamonds beautifying it. Morganite is the most feminine gemstone. This is an elegantly crafted 14k rose gold ring. 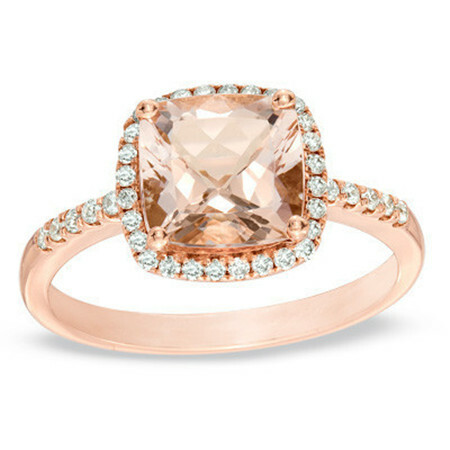 The cushion-shaped morganite is beautifully surrounded by 1/5 carat t.w small diamonds. The shank of the ring has also several shining diamonds. 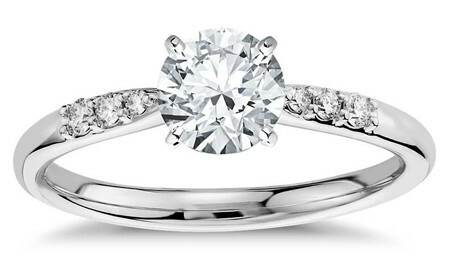 Your ladylove is gonna love this engagement ring. The price would not disturb your budget too. This diamond studded engagement ring is perfect match for a lively and shopaholic girlfriend. You can really win her heart by offering this cluster of diamond on a 14k white gold ring. The ring has a center diamond of 1.67 carat. 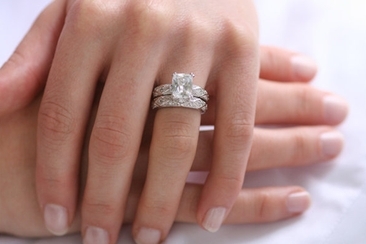 Do you wear your engagement ring on your wedding day? If you are not sure, read on because this article answers your question, furthermore , there are tips you’ll find handy.